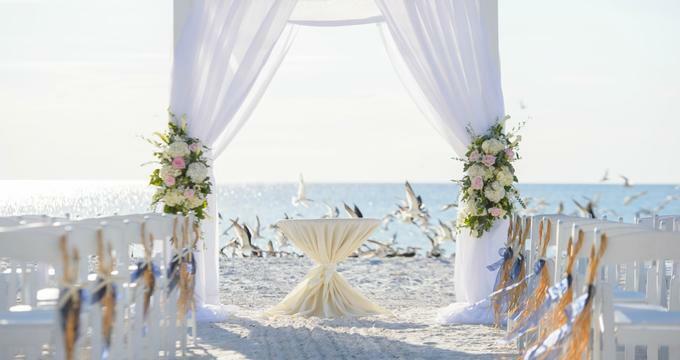 Couples may flock to Tampa for destination beach weddings, and there are plenty of choices for these, but there is also a wide variety of equally special venues away from the beach. From historic theaters like Centro Asturiano de Tampa to modern urban spaces like Chic Venue, Tampa Bay has plenty of allure on display. The Rusty Pelican is a tropical oasis situated along the waters of Tampa Bay offering four distinct indoor ballrooms and an outdoor gazebo. The largest of the banquet halls is the Grand Ballroom, featuring floor-to-ceiling windows overlooking the bay and ocean, a private entrance, a built-in dance floor, and soaring ceilings with exquisite crystal chandeliers. For small and intimate weddings, the Bay Room, boasting a beautiful stained-glass window, stately fireplace, and bay views, is an excellent choice. The outdoor gazebo offers a private garden setting with stunning views of the bay, an ideal locale for the ceremony. The Centre Club is an exquisite venue for elegant, traditional weddings where the couple is in complete control of the design and layout. Located on the 8th floor of the Urban Centre, their Bayview Ballroom overlooks picturesque Tampa Bay, providing panoramic views of the city. 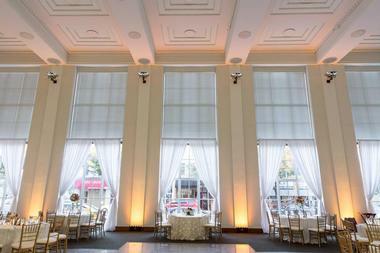 The ballroom offers a neutral color palette with modern light fixtures, a dance floor in the center, round tables, and plush chairs. 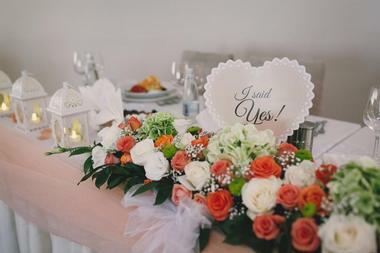 They provide an expert wedding coordinator to assist with vendor selections, menu offerings, décor ideas, and wedding coordination services for the big day. 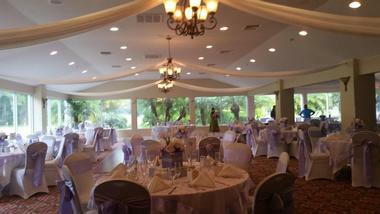 Various inclusive wedding packages are offered with several lighting options, floor-length linens, and chair coverings. Centro Asturiano De Tampa is a stunning historic building with over 100 years of history. They feature four distinct venues ideal for any style of wedding from extravagant royalty-style affairs to small and intimate weddings. The Historic Theatre is their largest option, featuring turn-of-the-century architecture, bold and rich colors, a grand stage, balcony, and ground floor seating for up to 1,000 guests. On the smaller end is the Covadonga Room, boasting a gorgeously crafted wooden bar and tiled floors. 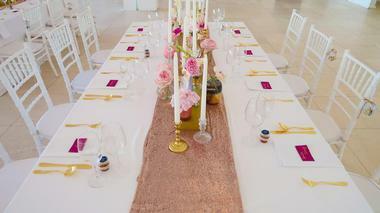 It’s ideal for themed weddings as the space can be easily transformed into any design accommodating up to 100 guests. Chic Venue is a modern wedding space featuring black and white checkered flooring, soaring ceilings, extravagant chandeliers, white ceiling draperies, complete LED lighting, and large flat-screen televisions. 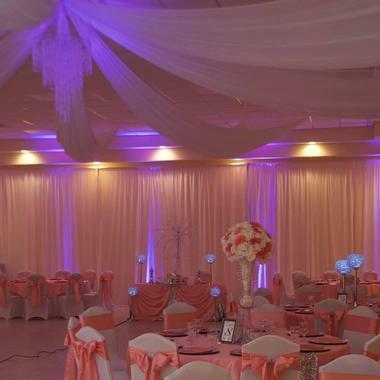 The space can be altered to fit any style and design with several lighting options to suit the wedding colors or theme. Plush white couches and chairs line the perimeter of the space with round tables and plush seating situated at the center of the room. It’s a contemporary wonderland with a main dining space, luxury bar, full kitchen, dance floor, and gift area as well as a beautiful entranceway lined with vertical streaming lights. Situated in the heart of Ybor City, CL Space is an industrial-chic contemporary space boasting exposed beams, skylights, floor-to-ceiling windows, and brick walls. At a little over 2,000 square feet of space, it comes with a full kitchen with attached bar top, a 24-hour attached parking garage, dining tables, cocktail tables, chairs, and various additional furnishings that can be added from their a la carte menu. The space is versatile, allowing couples to design it to suit their chosen style. CL Space can accommodate up to 200 standing guests, 150 cocktail style, and 120 banquet style. A house manager is onsite on the day of the event to provide assistance. A small group of dedicated women in love with Davis Islands was responsible for starting and developing the present Marjorie Park and Davis Islands Garden Club. The 50-acre urban park is situated along the edge of the Seddon Channel. 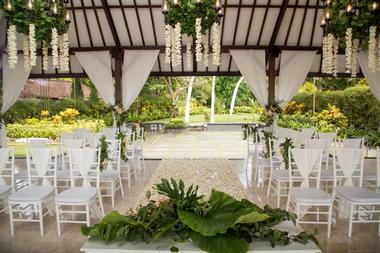 Facilities include the garden center, which features a ballroom and a large covered veranda. The well-landscaped backyard includes a gazebo and lush garden. With waterfront and Harbor Island views, it’s the perfect setting for an intimate boutique wedding or a lavish fairytale wedding. 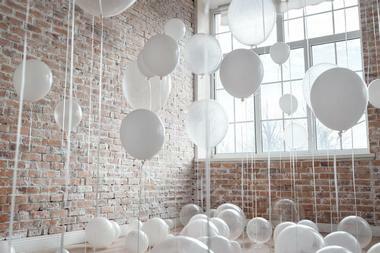 DIY brides love the blank canvas aspect to personalize the space to their vision. The venue can accommodate up to 175 guests. The Epicurean Hotel is a luxury hotel featuring a contemporary design with a rustic flair. They offer over 5,000 square feet of event space with four ballrooms, a theater, garden terrace, pool, and their restaurant, EDGE. This is a full-service wedding venue providing couples with menu selections, cake decorating, furnishings, flatware, china, and glassware. They also provide an event planner to handle all aspects of the wedding and the use of a preferred vendors list for additions such as flower arrangements and music. 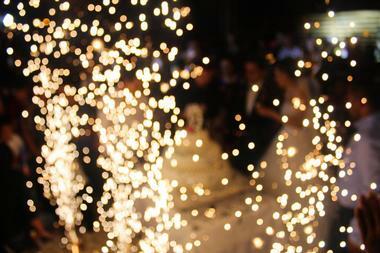 The venues can accommodate anywhere from 50 to 300 guests, depending on the couple’s preferences. 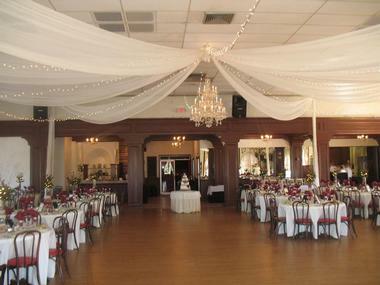 Hollywood Venue Tampa is a premier, newly renovated banquet hall situated along a lake in Tampa. It boasts stunning refinished hardwood floors, soaring ceilings, brick walls, and an exquisite gazebo and dock overlooking the lake. This is an all-inclusive wedding venue featuring state-of-the-art sound and lighting systems, onsite catering, a dance floor, a covered patio, and an in-house full bar with all the trimmings. They have expert staff who work with each couple to design and create their dream weddings from the set-up and personally designed menus to choosing music and flower vendors. 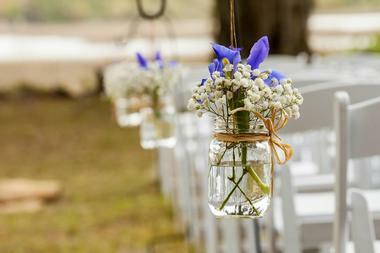 Chiavari chairs, new tables, dishware, and flatware are all included in their packages. Le Meridian is a Four Diamond boutique hotel that perfectly intermingles modern culture with its unique European heritage. This former federal courthouse is listed on the National Register of Historic Places due to its century-old history. It provides the perfect environment for classic wedding ceremonies with an essence of Old World charm. It’s inspiring architecture, warm color palette, and contemporary amenities make it a dream facility. They offer nearly 5,000 square feet of event space to perfectly cater to all aspects of a wedding. Couples can host their cocktail hours in Side Bars 1 or 2 and utilize the stunning Courthouse Ballroom, boasting soaring ceilings, vintage dangling chandeliers, and floor-to-ceiling windows, for their reception. 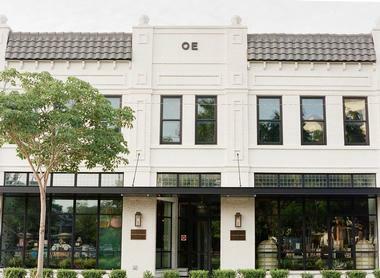 The Oxford Exchange is a historic venue featuring chic architecture and ambiance reminiscent of the buildings seen on the iconic Piccadilly Road in the city of Westminster, England. It exudes a classic elegance, beautifully blending old and new. They offer several indoor spaces for ceremonies and receptions, such as their glass roof conservatory boasting black and white checkered floors, lantern-style light sconces, and live trees. The space also includes a bookstore, restaurant, and home décor shop, offering some truly unique spaces for pictures. 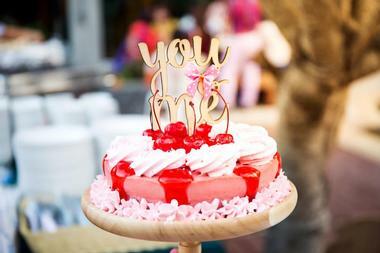 The venue staff work closely with each couple on décor, design, and catering. Located at the highest accessible point in Tampa Bay, the Tampa Club is an exquisite historical building overlooking the city’s entire downtown area. Situated on the 42nd floor, at this venue guests will enjoy exceptional panoramic views through floor-to-ceiling windows of Apollo Beach, St. Petersburg, Clearwater, and beyond. The banquet hall is all glamor with warm golden tones, crystal chandeliers, a hardwood dance floor, vintage furnishings, and romantic, subdued lighting providing a timeless elegance. The space can easily accommodate up to 150 guests, and expert staff work closely with each couple to design their dream wedding. Catering and alcohol are included and a preferred vendors list is provided. 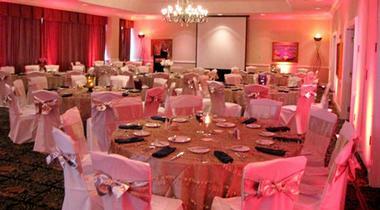 The Tampa Events Banquet Hall is a beautifully renovated venue featuring three luxuriously decorated ballrooms. The spaces utilize neutral color palettes, so each couple can design the interior to suit their chosen theme, design, and colors. With over 15,000 square feet of space, the facility is able to accommodate large weddings with ease. Each of the spaces feature exquisite hardwood flooring, efficient LED lighting systems, and high ceilings. The facility also provides an onsite kitchen, fully set-up bar stations, stage availability, and dance floors. 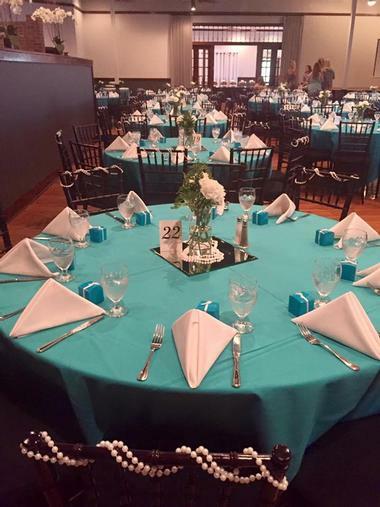 Tables, linens, chairs, chair coverings, table cloths, and center pieces are all included. They also offer a preferred vendors list for all additional needs. Situated along the edge of Lettuce Park, the Tampa Palms Golf & Country Club is an extraordinary locale for a traditional dream wedding. They provide both indoor and outdoor spaces, making it the ideal venue for an outdoor ceremony followed by an indoor reception. Nuptials can take place under a lavish covered gazebo with a brick patio and picturesque views of a serene pond and fountain. Lush, tree-filled landscaping serves as the backdrop. 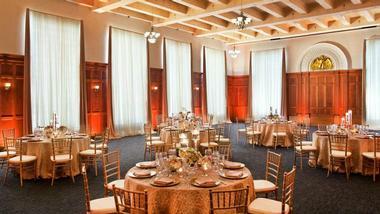 The grand ballroom is an ideal location for a reception. It has an intricately designed carpet surrounding a large hardwood dance floor, high ceilings, beautiful arched white paneled windows, and LED lighting. The Tampa Yacht & Country Club is a historic private club situated on 13.5 acres on the western banks of Hillsborough Bay. There is over 20,000 square feet of event space within the clubhouse, including two dining rooms, a kitchen, two cocktail lounges, and a ballroom with two adjacent lounges. They also have an elegant covered gazebo with black and white checkered flooring and streaming lights. It overlooks meticulously manicured lawns and a large swimming pool. The main ballroom offers a timeless sophistication with vaulted ceilings featuring white silk draperies, gorgeous crystal chandeliers, grand windows, and vintage furnishings. For couples looking to plan an out-of-the-box-style wedding, Tampa Zoo is the perfect choice. It features an array of indoor and outdoor facilities surrounded by exotic animals and lush vegetation. Whether couples want to design a colorful, vibrant, tropically themed wedding or a simpler, casual, rustic-style wedding, it can be created here. Their onsite wedding expert will work closely with each bride and groom to choose their preferred venue, menu choices, design, and décor. They also include banquet servers and all set-up materials. As a bonus, the bridal suite provides a complimentary champagne toast, unlimited non-alcoholic beverages, and cheese and fruit platters. The Event Factory is the largest all-inclusive, full-service banquet facility in Tampa, offering more than 50,000 square feet of space. A single ballroom can hold anywhere from 30 to 500 guests, making it the ideal venue for both small and intimate or grand and lavish affairs. The space is designed as a moving venue, with separate areas for the pre-functions, ceremonies, and receptions. The décor is grand, with intricately detailed floors, soaring ceilings, stunning crystal chandeliers, ornate furnishings, and club-quality LED lighting systems. They also have an outdoor space known as the Castle Courtyard for those who prefer an outdoor ceremony or reception. 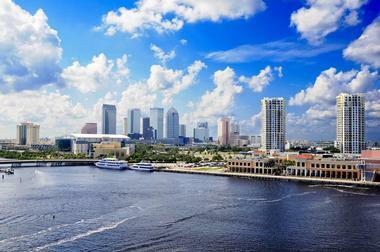 Located in the Channel District of downtown Tampa, the Florida Aquarium is an exceptional venue for couples who want to create a unique, otherworldly wedding. They offer 200,000 square feet of space within their serene oasis, which is home to native and exotic plants and animals. Among the event spaces are two expansive lobbies ideal for dancing. Private areas within the exhibits can be creatively appointed, such as a jazz lounge featuring a 500,000 gallon coral reef habitat. Hosting a pre-ceremony cocktail hour in the aquarium’s temperature-controlled, lush wetland dome with one of the largest indoor mangrove tunnels in the world is another option. The Vault is a historic neo-classical building located in the center of Tampa’s Downtown Art District. This unique and versatile space beautifully blends luxurious architecture with modern amenities. Its interior displays soaring 35-foot-tall ceilings with elaborate medallion ornamentation, floor-to-ceiling windows providing picturesque views of Tampa’s skyline, and a second-floor mezzanine overlooking the open gallery. This is the ideal venue for couples who want to create a chic wedding that exudes Old World charm and sophistication. It can easily accommodate up to 300 guests and features an attached Pocket Park for additional outdoor space as well as a catering prep area. The yacht StarShip is the first Three Diamond dining yacht in the nation, offering couples the choice of one of three luxury yachts. They provide experienced wedding coordinators to assist with all aspects of the wedding, including theme, décor, flowers, photography, and entertainment as well as menu selection by working with their renowned executive chef. The interiors are an elegant blend of nautical and rustic styles, featuring opulent furnishings such as stately columns, wine barrel cocktail tables, and crystal chandeliers. The StarShip can accommodate anywhere from 50 to 600 guests depending on the chosen location. They have the largest promenade deck in the state, featuring a covered dance floor, mister fans, and heaters. 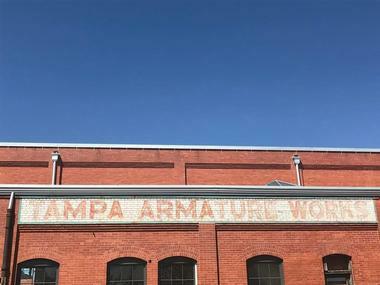 Armature Works is a dynamic multi-use building situated in the historic Tampa Heights neighborhood boasting incredible, unobstructed views of the Hillsborough River and the downtown Tampa skyline. The venue offers six distinct event spaces, two of which are outdoor. The interiors all have exposed brick walls lined with windows and beautiful refurbished hardwood flooring, creating an ambiance of industrial chic meets rustic charm. The Gathering is the largest of the spaces, easily accommodating up to 800 guests with soaring ceilings, vintage chandeliers, and two adjoining pre-function spaces. Outdoor ceremonies can take place on one of two riverfront lawns or in a central courtyard. Pebble Creek Golf Club is a beautiful and romantic venue that is perfect for a variety of styles, from classically traditional to elegantly pastoral. Their 12,000-square-foot Georgian-style clubhouse is surrounded by velvet green fairways, beautifully landscaped areas, and a gorgeous courtyard shaded by 40-year-old grandfather oaks. 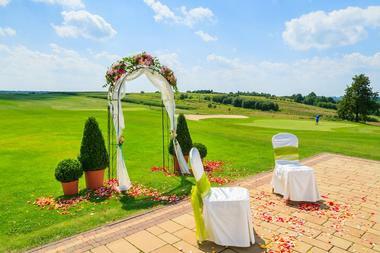 They can accommodate either large and lavish weddings or intimate and elegant weddings. The newly renovated ballroom can host up to 200 guests, offering sweeping views of the golf course and featuring a charming veranda equipped to fit 50 guests. They also provide private banquet rooms ideal for a bridal suite, and an Irish bar and billiard room excellent for a groom’s suite. The Rialto Theatre is located just blocks from UIele Spring, Hillsborough River, and the Old Trolley Barn. This historic venue is far from ordinary. 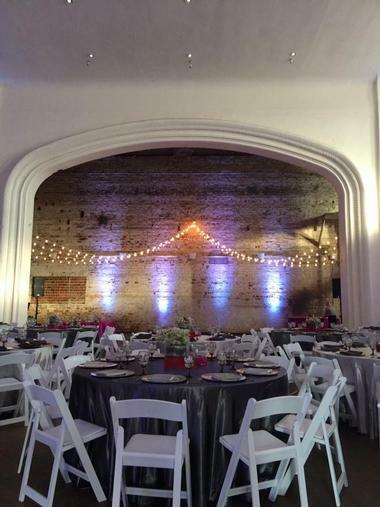 The old theater turned premier wedding venue is both charmingly vintage and New Age hip, with its original brick walls, plaster designs, 27-foot-high ceilings, and modern lighting and art track system. Rialto can easily transform its three main event spaces to accommodate any size of wedding, whether it’s large and lavish or romantic and intimate. The entire interior is bare, allowing complete control of everything from design and décor to catering and entertainment. 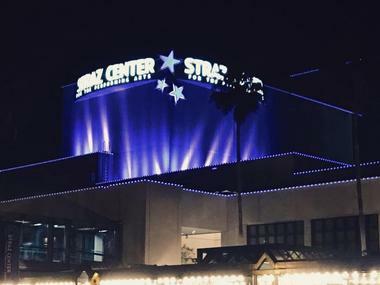 The legendary Straz Center is a premier wedding destination for couples who want a unique venue with an elegant edge. They provide an array of indoor and outdoor event spaces, such as the dramatic main stage surrounded by plush red velvet theatre seats – a romantic and enchanting space for a couple’s first look. Outdoor ceremonies or receptions can be held on the riverfront, where brides walk down a lavishly decorated aisle under a grand tent with sparkling chandeliers. 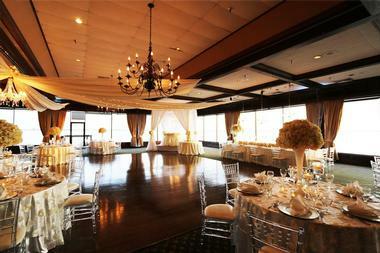 For the seated wedding dinner, Maestro’s Restaurant overlooking the downtown Tampa skyline is the ideal locale.